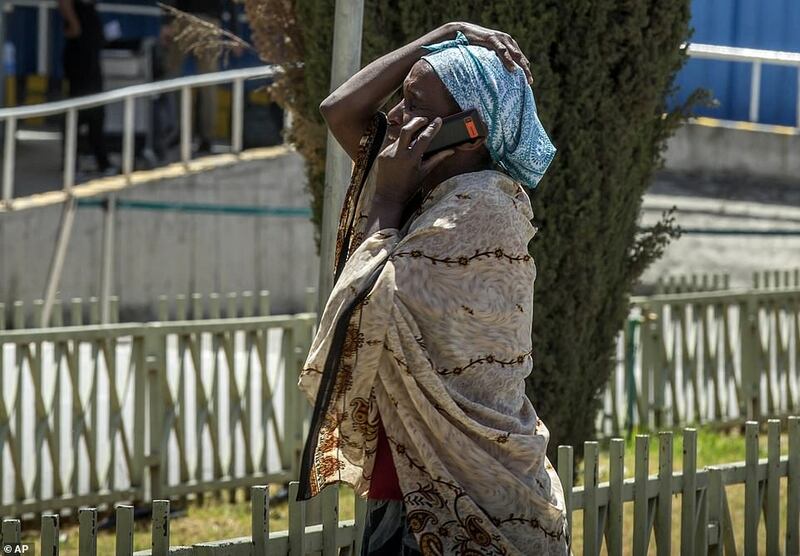 The father of a UN animal welfare worker who died in the Ethiopian air disaster has described her as a ‘very soft and loving person’ and said: ‘It’s hard to imagine life without her’. Ms Toole, from Exmouth, Devon, was one of at least 12 passengers who were travelling to Nairobi for a UN environment gathering. 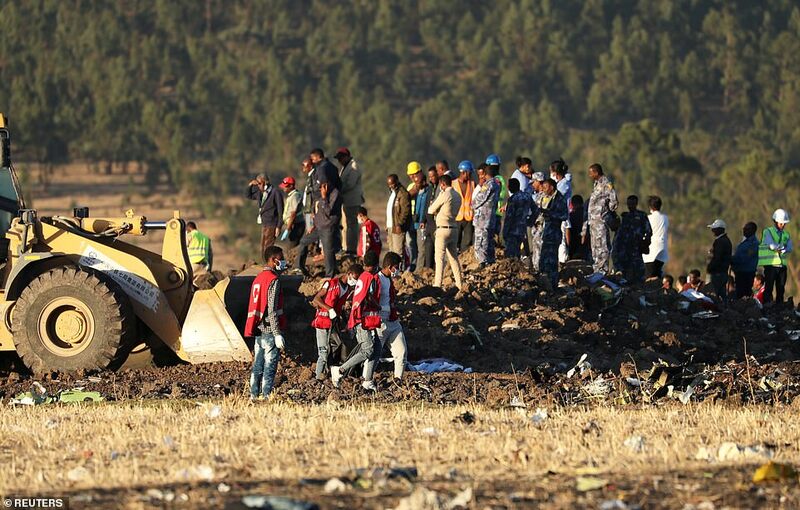 Ethiopian Airlines said seven Britons, one Irishman, 18 Canadians and eight Americans were killed in the crash. 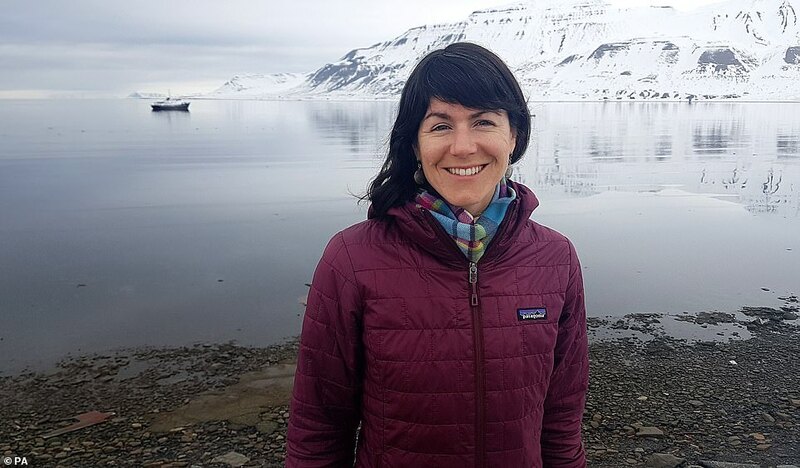 Polar expert Sarah Auffret – a British-French dual national – and former Hull resident Joseph Waithaka were named as victims last night but it was unclear if the airline had counted them among the seven Britons. 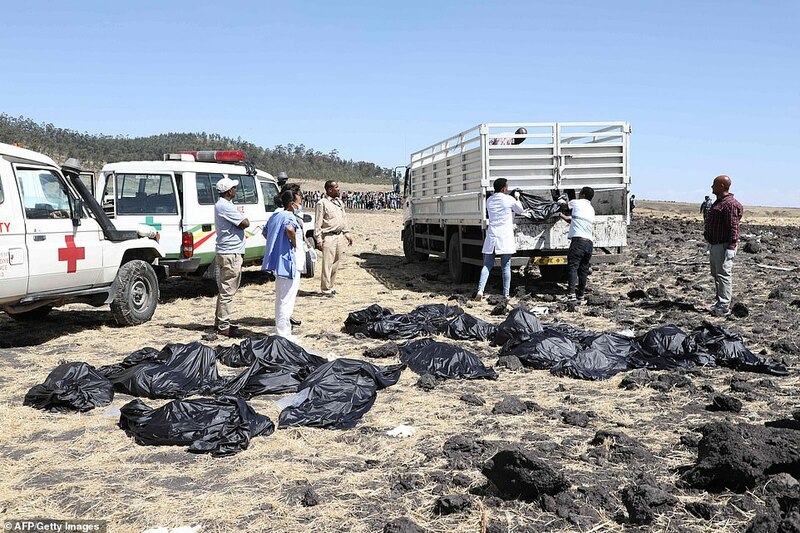 All 149 passengers and eight crew members died when the plane came down near the town of Bishoftu. 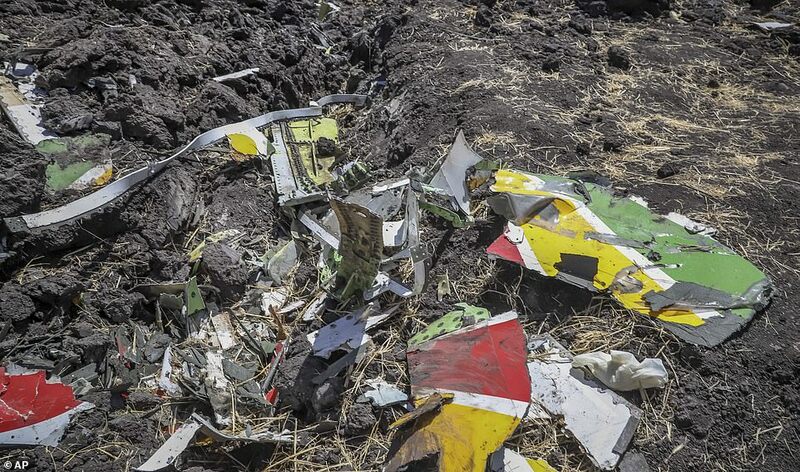 Flight-tracking data showed the plane’s vertical speed had fluctuated wildly in the last seconds before the crash. 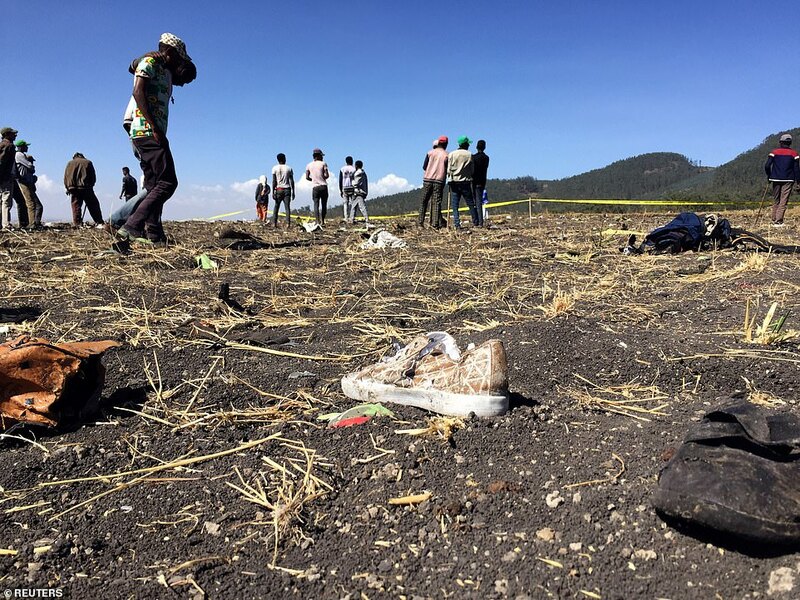 The Boeing 737 Max 8 model was the same one which crashed on a Lion Air flight in Indonesia last year, killing 189 people. 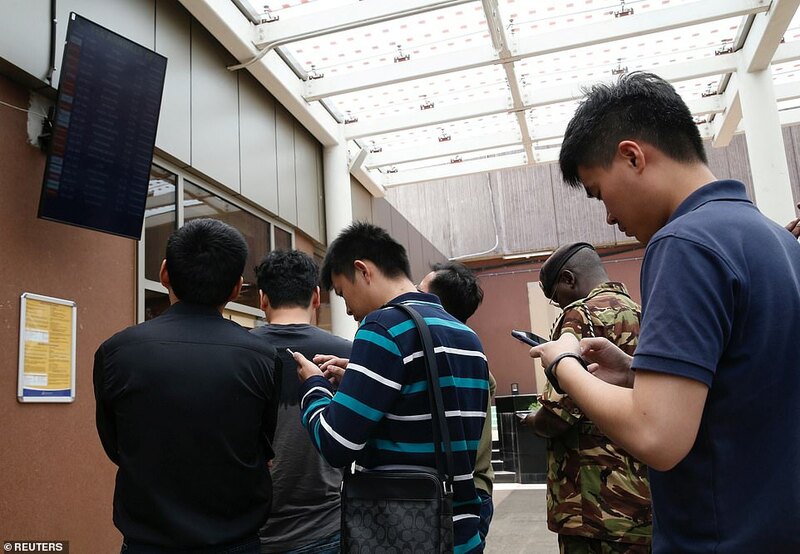 All Chinese airlines have now been ordered to ground Boeing 737 Max 8 planes by the country’s civilian aviation authority. Paying tribute to Ms Toole, her father Adrian said she had flown around the world but added: ‘Personally I never wanted her to be on a single one of those planes’. He said: ‘Joanna’s work was not a job – it was her vocation. She never really wanted to do anything else but work in animal welfare since she was a child. ‘Somehow that work took her into the international sphere and for the last 15 years she has been working for international animal welfare organisations. ‘That involves a lot of travelling around the world – although personally I never wanted her to be on a single one of those planes. ‘I’m an environmental campaigner myself, so partly it was because of the damage to the environment but also because it’s a dangerous occupation to be flying. Up until now she had been lucky. 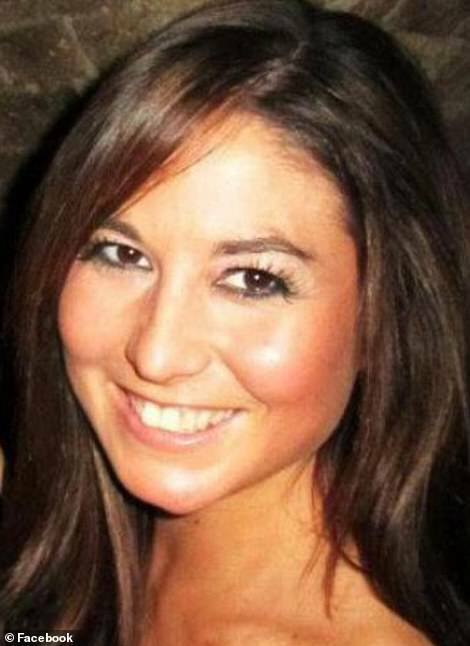 ‘Joanna was a very soft and loving person. Everybody was very proud of her and the work she did. We’re still in a state of shock. 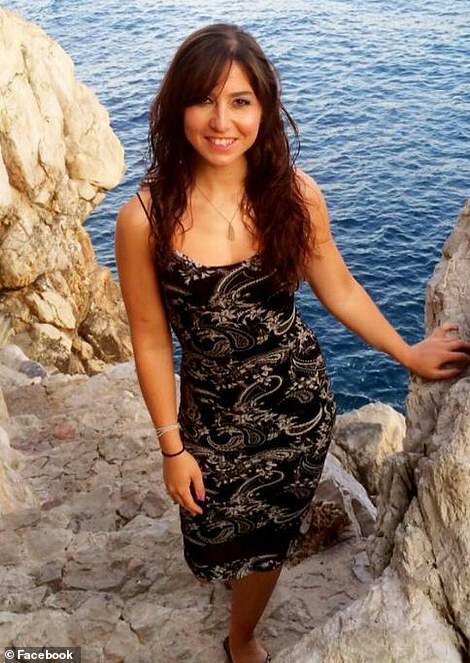 ‘Joanna was genuinely one of those people who you never heard a bad word about. She was one of those people who burned the candle at both ends. One of her UN colleagues, Manuel Barange, called her a ‘wonderful human being who loved her work with a passion’, saying he was ‘so profoundly sad and lost for words’ at the news of her death. 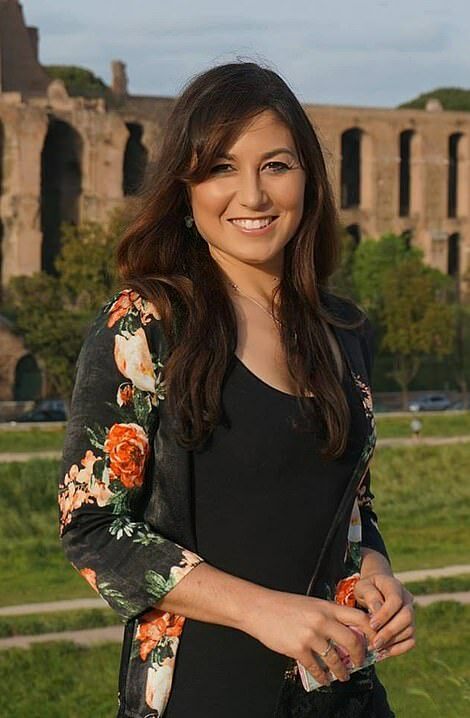 According to her LinkedIn page she had worked for the UN since 2016, living in Rome where she recently set up home with her partner. She previously worked at World Animal Protection and Animal Defenders International, after graduating from Anglia Ruskin University in 2004 with a degree in Animal Behaviour and Wildlife Biology. Polar expert Sarah Auffret, who had French and British dual nationality, was also killed in the crash. 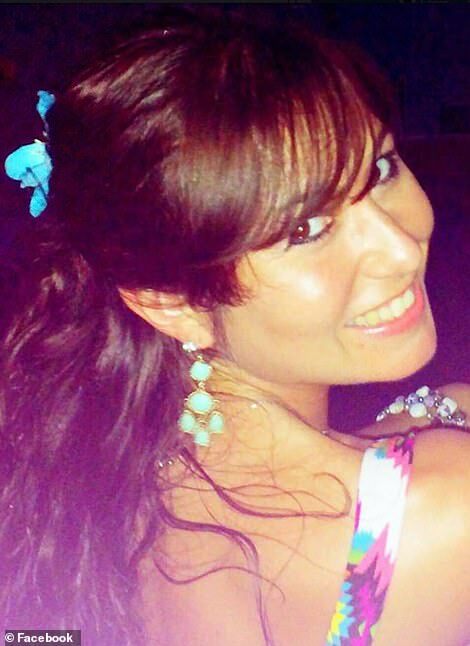 Colleagues paid tribute to her as a ‘true friend and beloved colleague’. ‘Words cannot describe the sorrow and despair we feel,’ her employers at the Norway-based Association of Arctic Expedition Cruise Operators said. 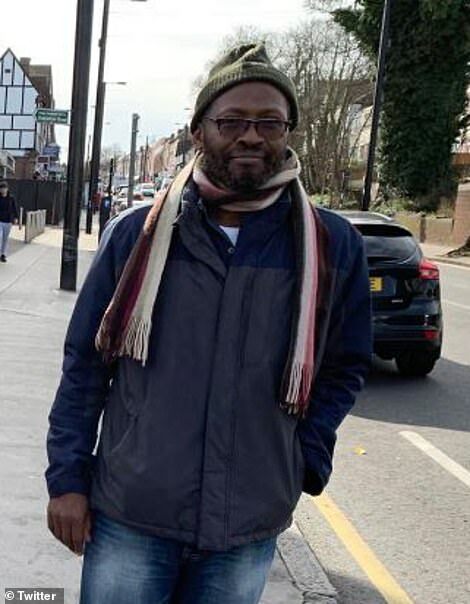 Another victim, 55-year-old Joseph Waithaka, lived in Hull for more than a decade before returning to his native Kenya in 2015. 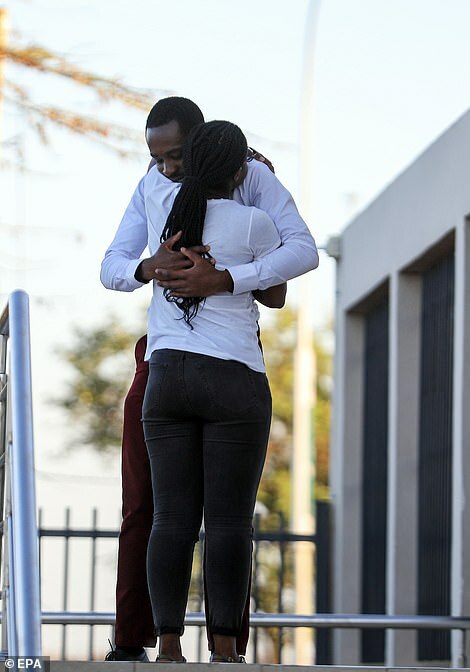 The BBC reported he had dual Kenyan and British citizenship. 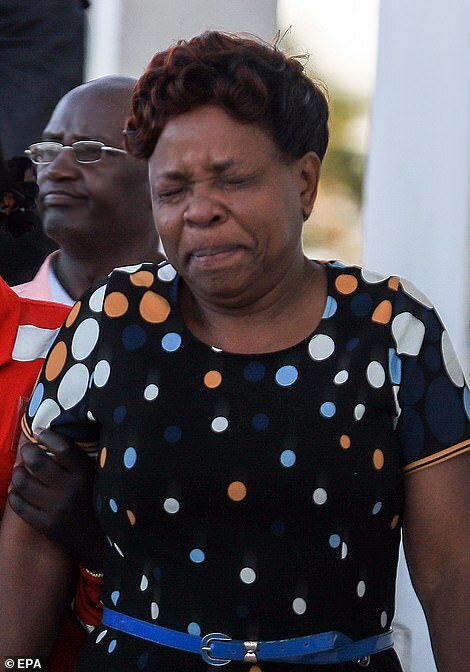 He had been visiting his wife and children, who still live in Hull, and was on his way back to Kenya via Ethiopia when he boarded the doomed flight aboard the Boeing 737 Max 8 jet. Mr Waithaka worked for the probation service during his time in Hull and his family said he had ‘helped so many people’ during his time in England. His son, Ben Kuria, said: ‘My dad was a private man but he also had a pastoral heart. He really championed people. He really helped people realise their potential. ‘He would tell stories which would inspire the young people he was helping who were not at a great time in their lives. The one Irish victim was named as engineer Michael Ryan, an employee of the UN’s World Food Programme – which said seven of its staff members had died in the crash, including two Italians. 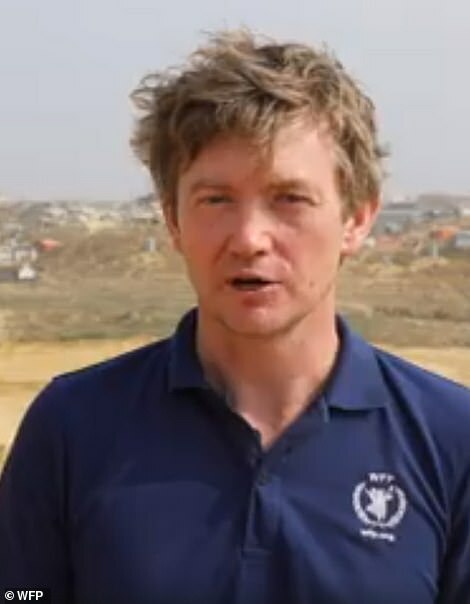 The Rome-based aid worker and engineer, known as Mick, was from Lahinch in Co Clare in Ireland’s west and was believed to be married with two children. 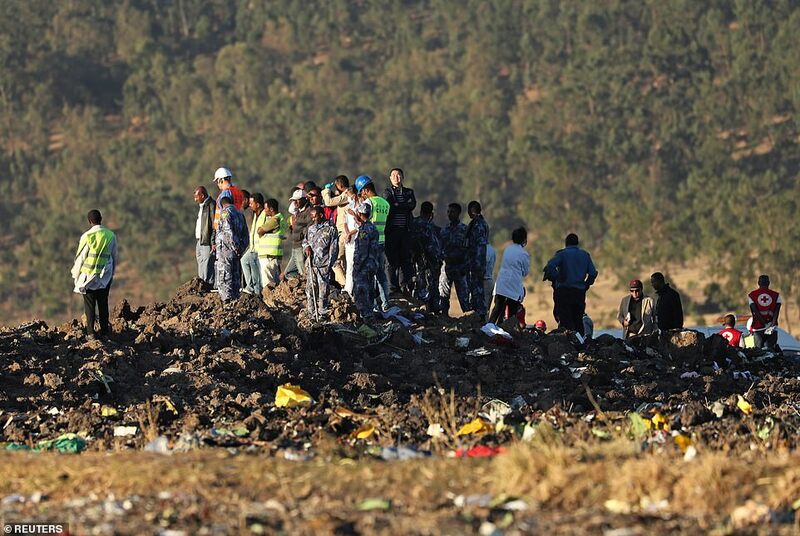 Last night UK Prime Minister Theresa May said she was ‘deeply saddened to hear of the devastating loss of life following the plane crash in Ethiopia’. ‘At this very difficult time my thoughts are with the families and friends of the British citizens on board and all those affected by this tragic incident,’ she said. 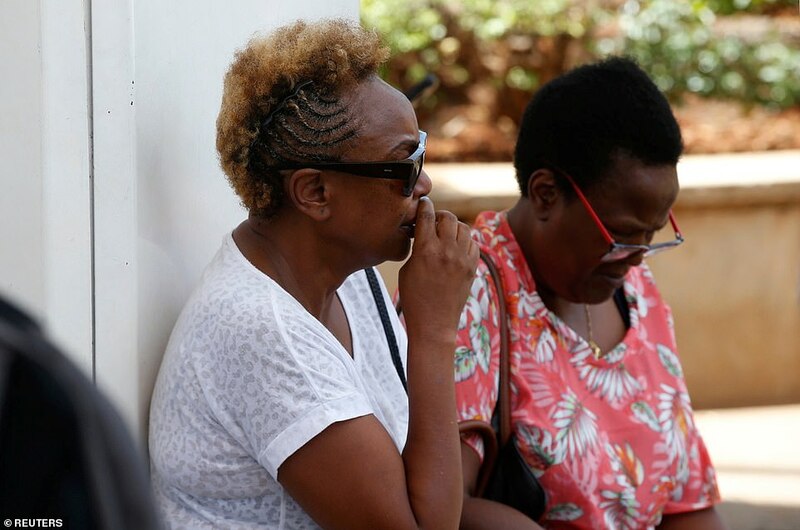 Former U.S. President Barack Obama said on Twitter that he and wife Michelle ‘send our deepest sympathies to all who knew the victims of today’s plane crash in Ethiopia’. Representatives of the UN’s High Commissioner for Refugees and an employee of the World Bank also lost their lives in the disaster. 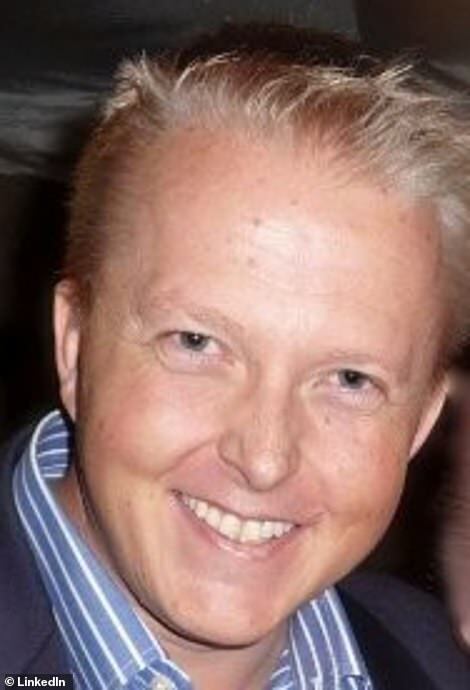 Hospitality company Tamarind Group announced ‘with immense shock and grief’ that its chief executive Jonathan Seex was among the fatalities. Anton Hrnko, an MP for the nationalist Slovak National Party, said he was ‘in deep grief’ to announce that his wife Blanka, daughter Michala and son Martin were among the dead. Three members of Italian aid group Africa Tremila were on board. 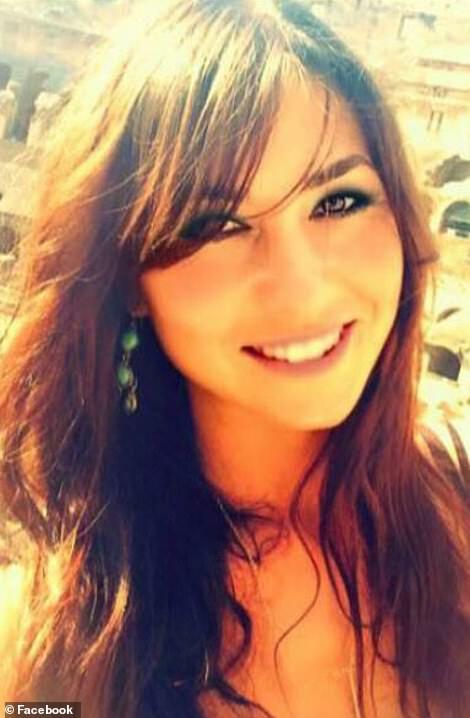 The group’s president Carlo Spini, his wife Gabriella Viggiani, and treasurer Matteo Ravasio were among the eight Italians killed. 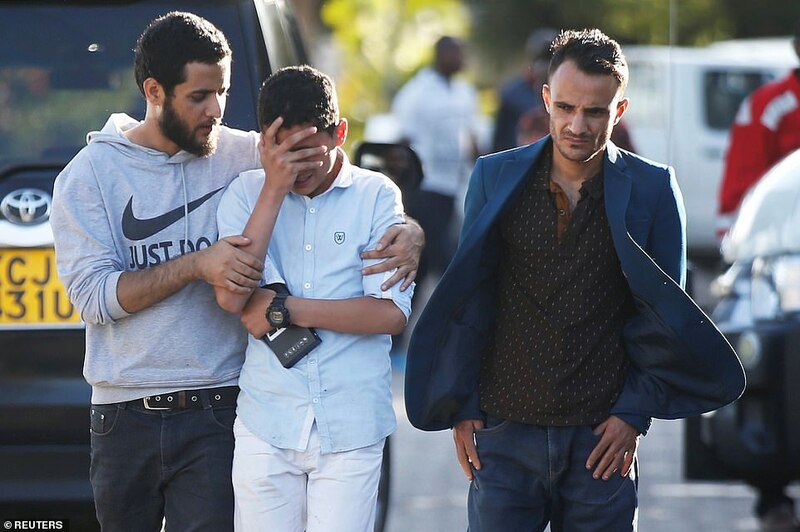 The African Diaspora Youth Forum in Europe said co-chairman Karim Saafi had been a passenger on the flight and had been due to represent them at a meeting with the African Union in Nairobi. Professor Pius Adesamni was named as a victim by Benoit-Antoine Bacon, the president and vice-chancellor of Carleton University in Ottawa, Canada. Abiodun Oluremi Bashua – a retired envoy who served in Iran, Austria and Ivory Coast – was killed, Nigeria’s foreign affairs ministry said. Austrian media reported that three doctors who were aged between 30 and 40 and worked at hospitals in Linz had died. Save the Children said its child protection in emergencies adviser Tamirat Mulu Demessie was among the dead. 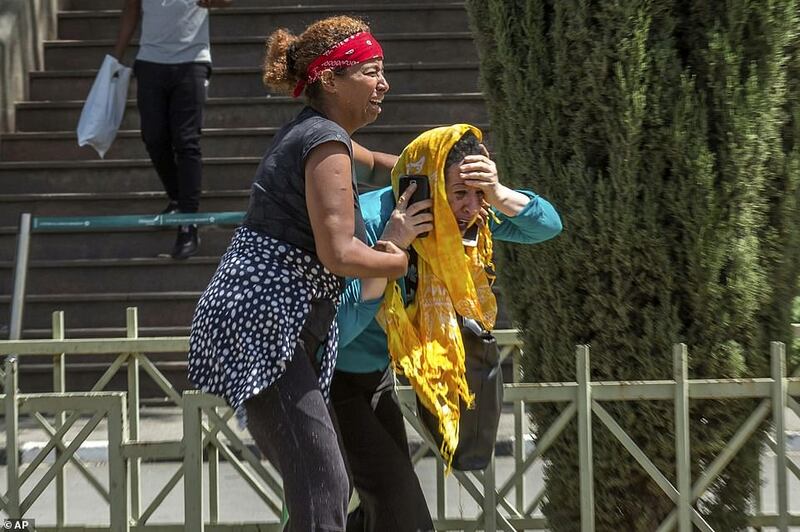 Three of the Russians on board were tourists Yekaterina Polyakova, Alexander Polyakov and Sergei Vyalikov, the Russian Embassy in Ethiopia said. 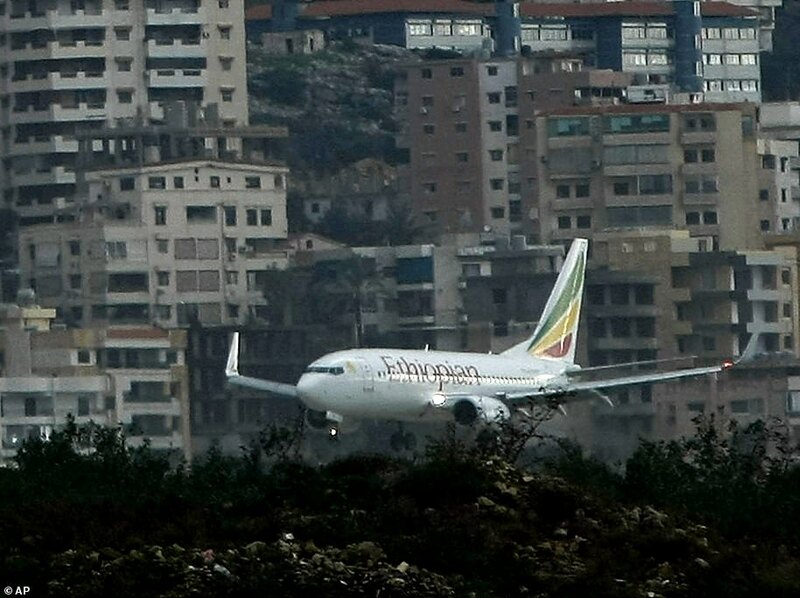 It also emerged last night that U.S. aviation officials had issued an Emergency Airworthiness Directive warning that pilots of Boeing 737-8 and 737-9 planes ‘could have difficulty controlling the airplane’ because of a problem with one of its systems. Flight-tracking data revealed that the plane’s vertical speed – the rate of climb or descent – varied from 2,624 feet per minute to minus 1,216 within minutes of take-off. 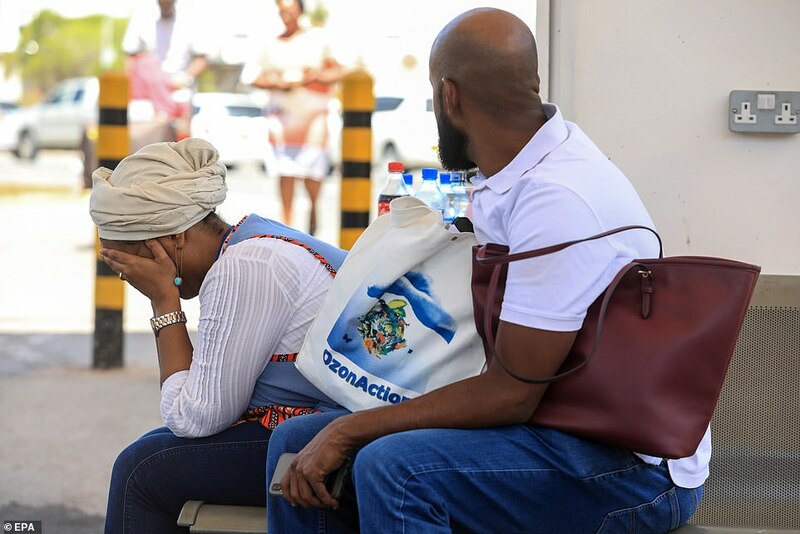 A passenger has spoken of his relief after he missed the doomed Ethiopian Airlines flight. 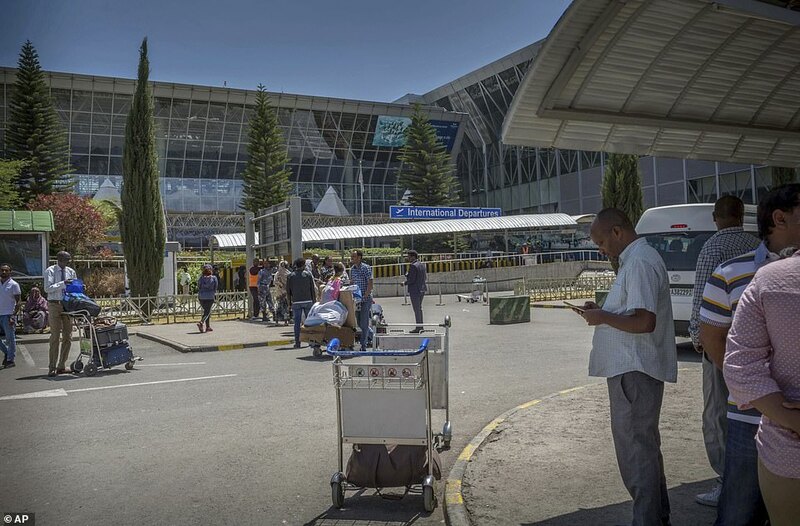 Ahmed Khalid was connecting in Addis Ababa on his way from Dubai to Nairobi but the first half of his trip was delayed. 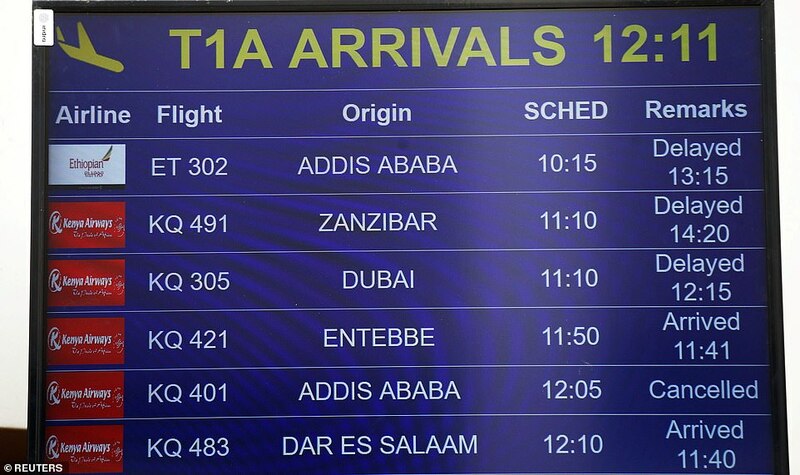 As a result he missed the ill-fated flight and boarded a later connection to Kenya. He said passengers were asking the cabin crew what had happened but received little information, Global News reported. 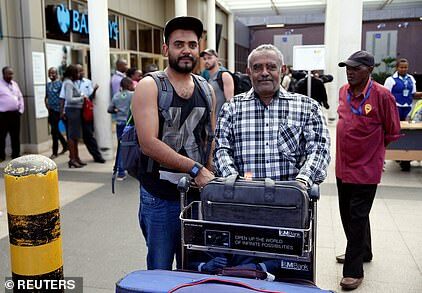 Upon arrival in Nairobi he was greeted by his equally relieved father, Khalid Bzambur. According to flight-tracking website FlightRadar24, the plane, which was new and was delivered to the airline last November, ‘had unstable vertical speed’ shortly after take off. Aviation experts described the data as extremely unusual, saying that once a plane has taken off the vertical speed should rise or remain stable. 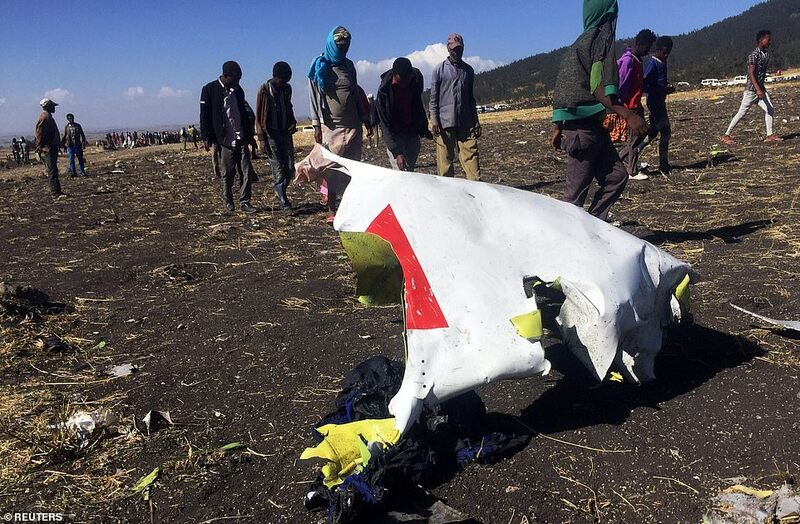 Expert Sally Gethin said the plane’s rapidly fluctuating speed may indicate that the aircraft stalled in the moments before it crashed. An experienced pilot told MailOnline the activity was highly unusual. He said: ‘A positive number indicates the aircraft is going up. After takeoff you would expect all these numbers to be positive as the aircraft climbed away from the ground, or zero if they are flying level. ‘The small amount of data released so far indicates that after only one minute or so of the flight this aircraft started a descent at a rate of up to 1920 feet per minute down. If the data is correct that is extremely unusual. ‘The data then shows the aircraft going up and down until the data stops. That is why some people are referring to unstable vertical speed. ‘You would not expect a descent unless you were immediately returning, and if that was the case you wouldn’t then expect the aircraft to climb again. 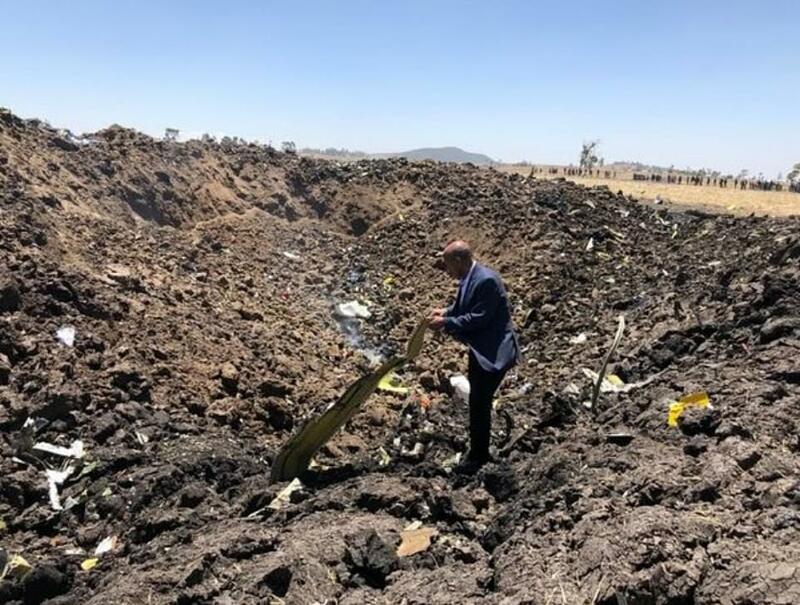 Boeing said it was ‘deeply saddened’ by news of the crash and would sent technical experts to Ethiopia to help investigate the crash. 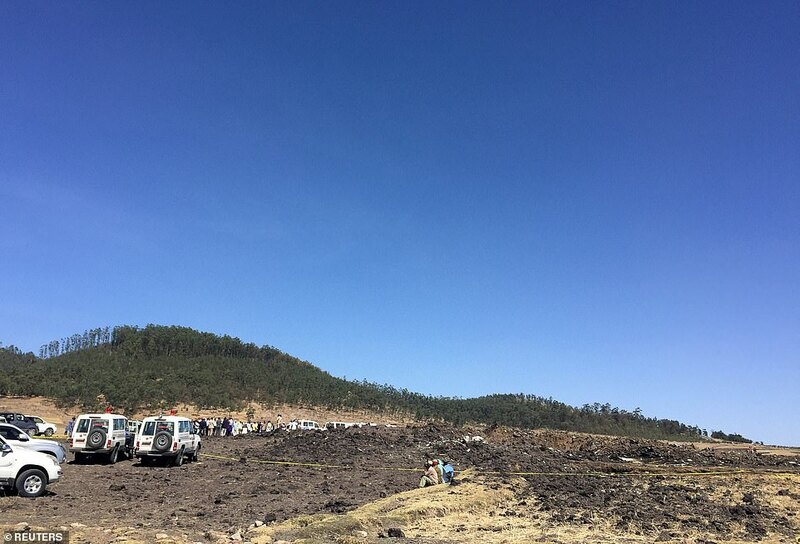 The plane came down near Bishoftu, Ethiopia, 37 miles (60km) south of the Addis Ababa. A witness told the BBC it took rescuers until 11am to arrive. 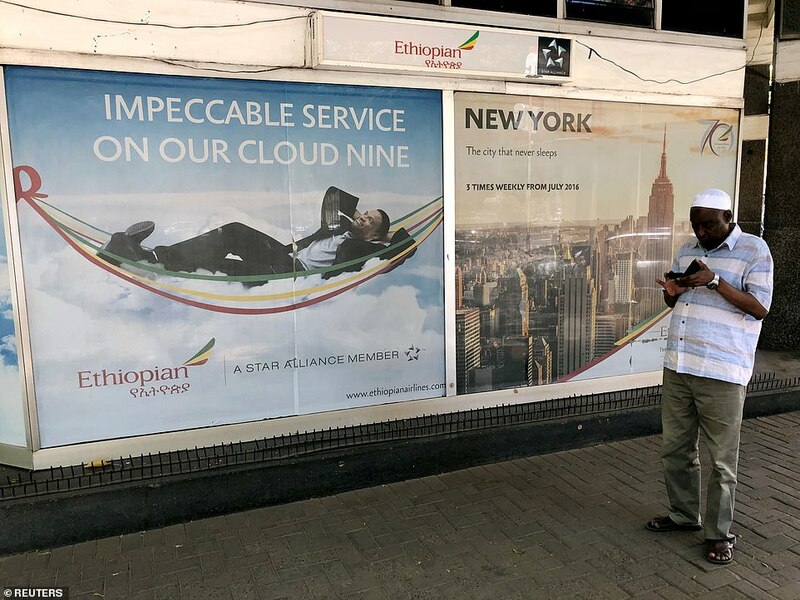 Senior captain Yared Getachew had a ‘commendable performance’ having completed more than 8,000 hours in the air, the airline said. 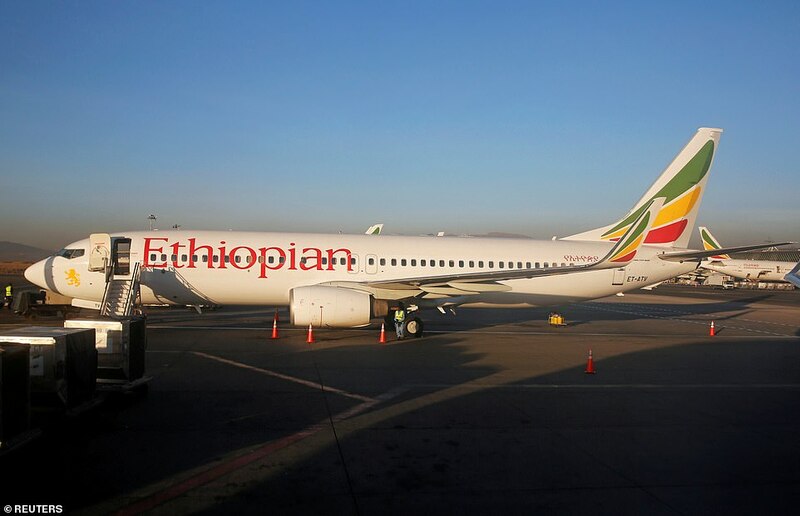 The plane had flown from Johannesburg to Addis earlier on Sunday morning, and had undergone a ‘rigorous’ testing on February 4, a statement continued. 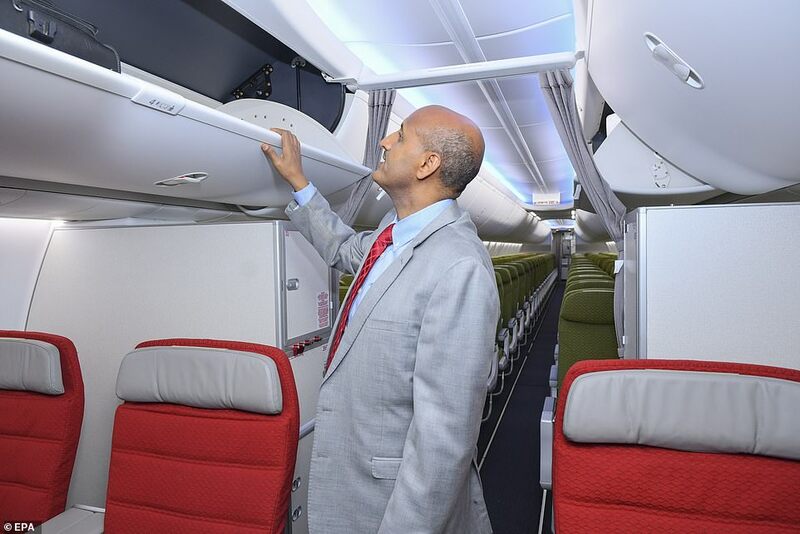 The plane, a 737 MAX 8, is believed to be a new addition to the EA fleet having been delivered last year – and is the same model as the Lion Air plane which crashed in Indonesia in October. Last night Cayman Airways president Fabian Whorms said both of the airline’s new Max 8s will not fly from Monday. Boeing issued a safety warning last November about its new 737 Max jets which could have a fault that causes them to nose-dive. The MAX-8 planes were launched in 2016 and are used by major airlines all around the world. 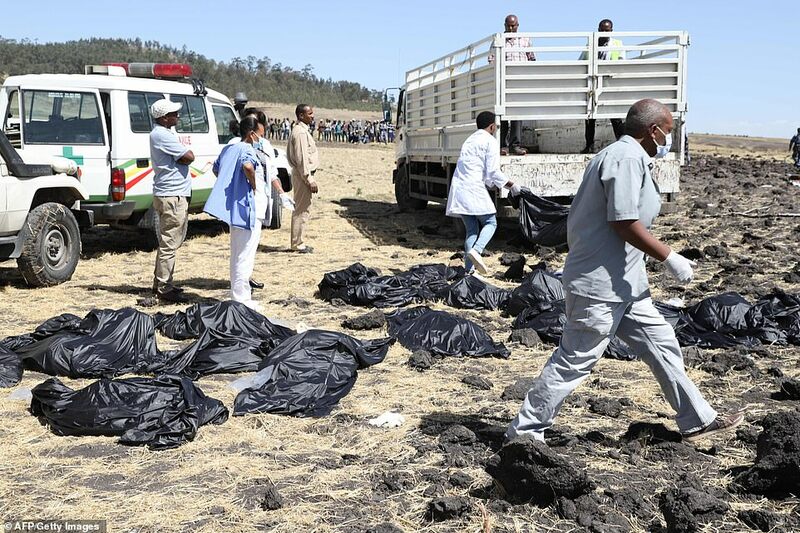 Ethiopian Airlines said they had contacted the victims’ families and said the bodies would be returned home once they had been identified. Boeing issued a safety warning last November about its new 737 Max jets which could have a fault that causes them to nose-dive. 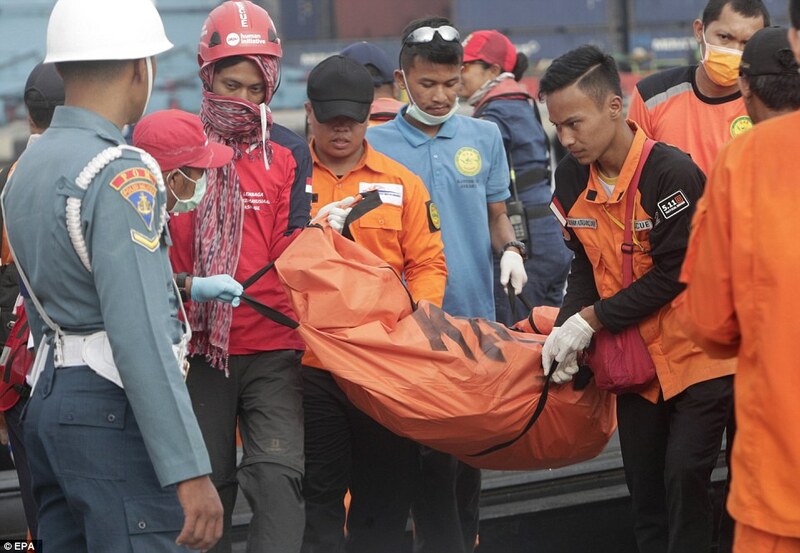 The special bulletin sent to operators was about a sensor problem flagged by Indonesian safety officials investigating the crash of a Lion Air 737 that killed 189 people just a week before the memo was sent. Since the 737 Max was unveiled in 2017, 350 of the jets have been bought, with around a further future 4,761 orders placed. More than 40 airlines around the world use the 737 Max, which has four kinds in the fleet, numbered 7, 8, 9 and 10. Airlines such as Norwegian Air, Air China, TUI, Air Canada, United Airlines, American Airlines, Turkish Airlines, Icelandair and FlyDubai. The 8 series, which was involved in the crash in Indonesia, has been flying the longest of all the Maxes. 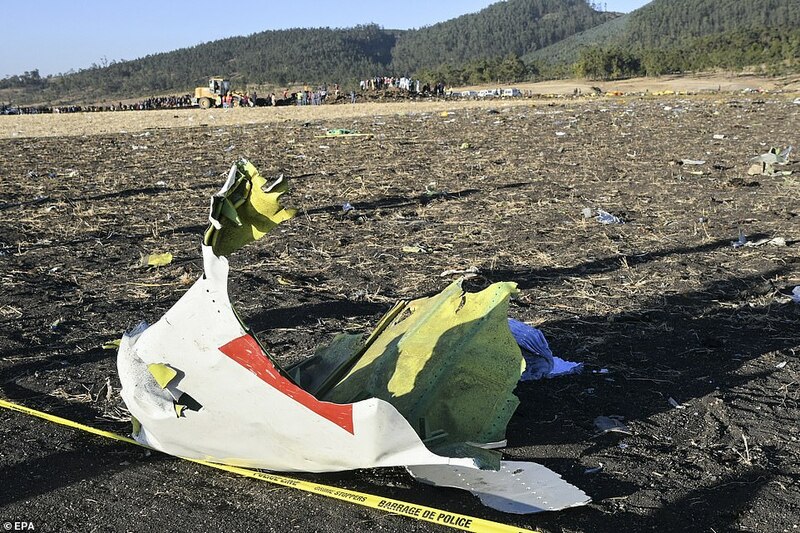 Boeing said in November that local aviation officials believed pilots may have been given wrong information by the plane’s automated systems before the fatal crash. According to a technical log the Lion Air plane, which had only been in service a few months, suffered instrument problems the day before because of an ‘unreliable’ airspeed reading. Minutes after takeoff the plane suddenly nose-dived hitting speeds of 600mph before slamming into the sea. The warning issued today read: ‘The Indonesian National Transportation Safety Committee has indicated that Lion Air flight 610 experienced erroneous input from one of its AOA (Angle of Attack) sensors. 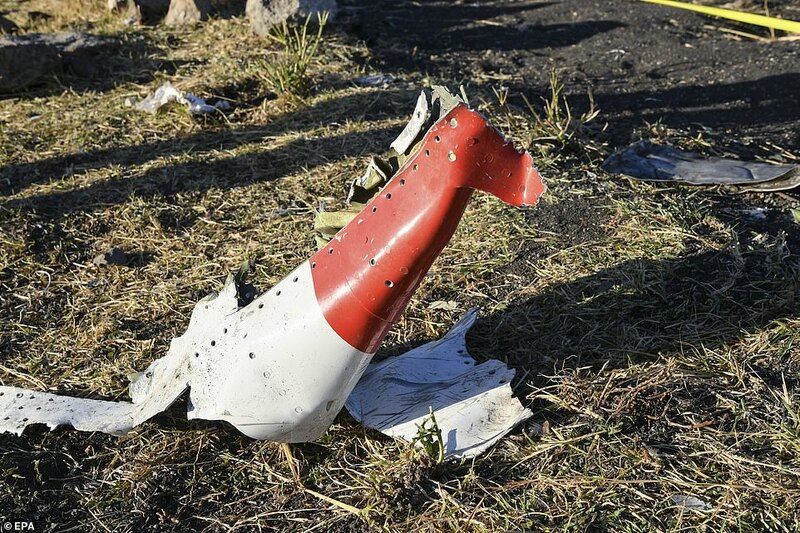 As a result of an investigation into the crash the jet manufacturer is said to be preparing a bulletin to be sent to operators of the 737 jets warning about faulty cockpit readings that could cause a dive. The notice refers to the ‘angle of attack’, which is the angle of the wing relative to oncoming air stream, a measure that indicates if a plane is likely to stall. This angle of attack, which is a calculation of the angle at which the wind is passing over the wings, is used to be determined if a stall is imminent. Inspectors found faults on two other Boeing 737 MAX jets, including one which mirrored a problem reported on board the Lion Air plane. 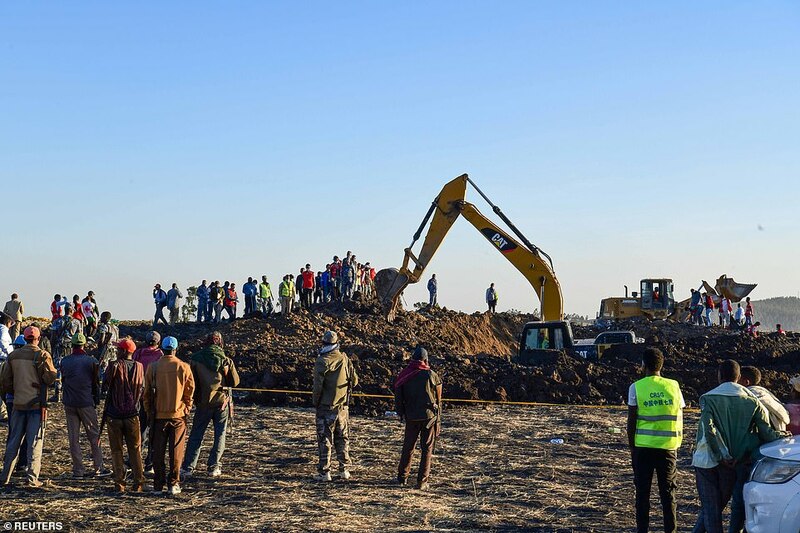 The tragic deaths of 157 passengers and crew yesterday, when an Ethiopian Airlines Boeing 737 Max 8 aircraft crashed within minutes of take-off in Addis Ababa, are raising serious questions over the safety record of both aircraft and airline. 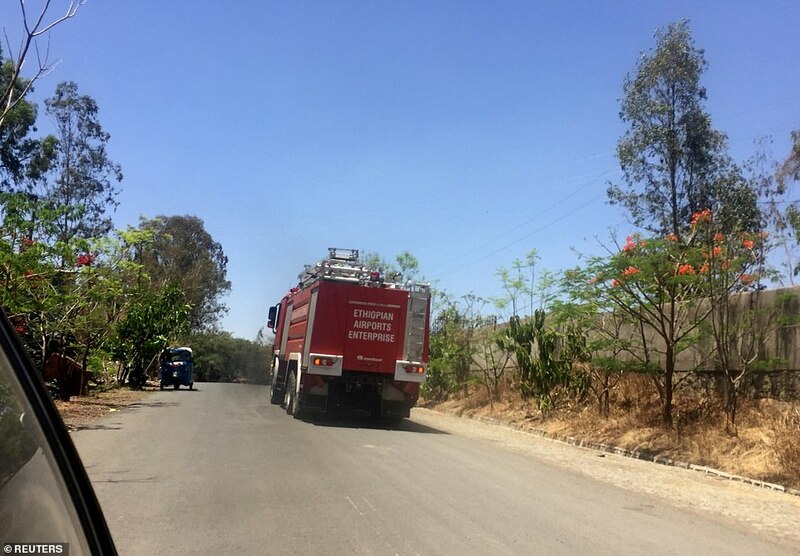 Initial reports yesterday showed considerable similarities between the Ethiopian and Indonesian disasters which involve the same plane. 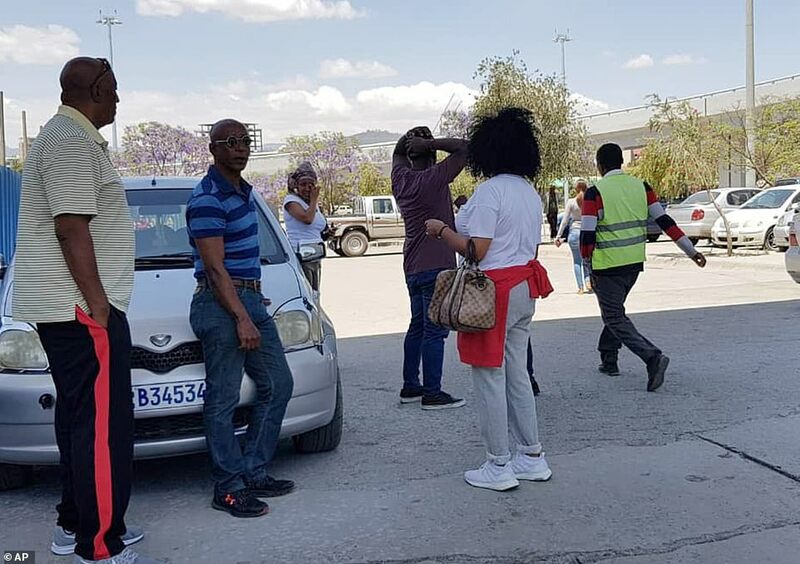 Yesterday’s flight lost contact about six minutes after take-off, having requested and been given clearance to return to the airport in Abbis Ababa. 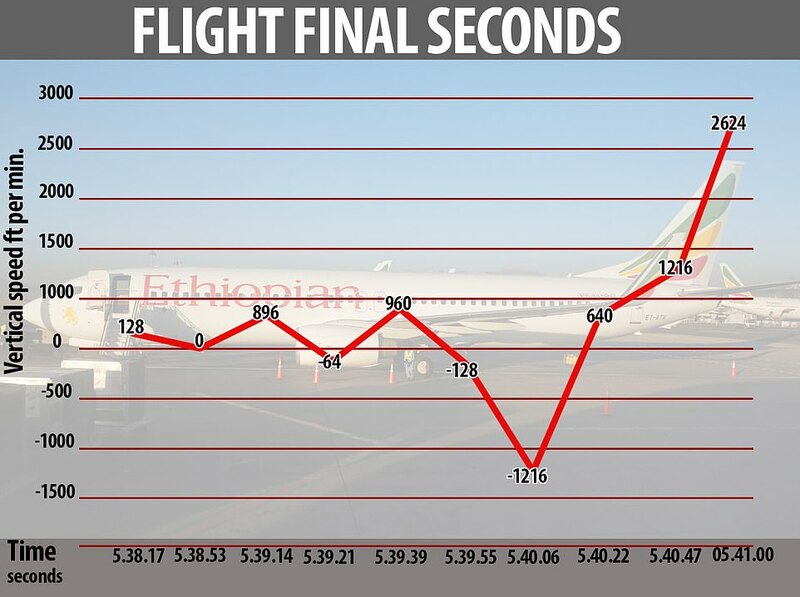 Yesterday, telemetry shows the plane’s vertical airspeed fluctuated rapidly in the minutes and second before its crash, including in the final moments when it seems to have been locked in a terrifyingly accelerating nosedive,. 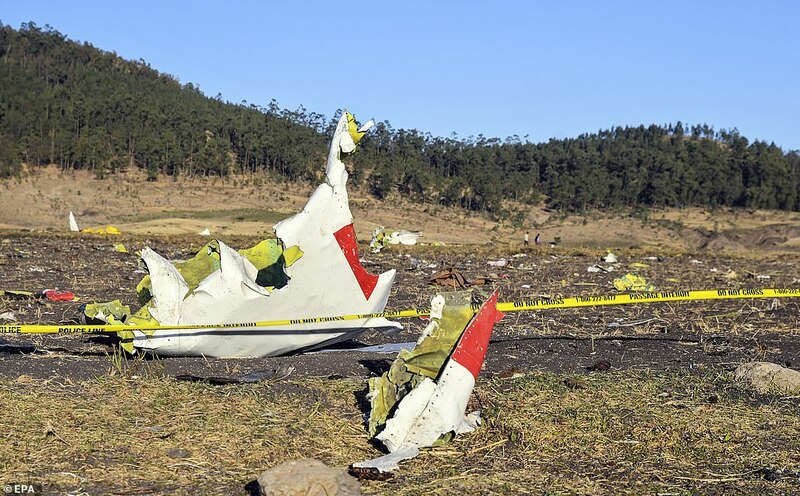 The New York Times reports that investigators are considering whether that dive might have been caused by updated Boeing software that was meant to prevent a stall – but that can send the plane into a fatal descent if the altitude and angle information being fed into the computer system is incorrect.